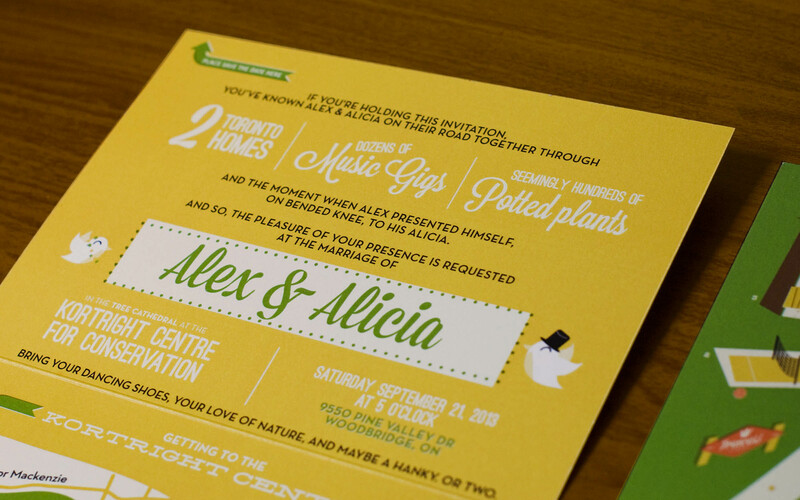 Alex & Alicia wanted their wedding invite to feel authentic to who they are as a couple. We began by considering symbolic imagery that have characterized their years together. Things like music, an eco-conscious lifestyle, the odd spider plant. 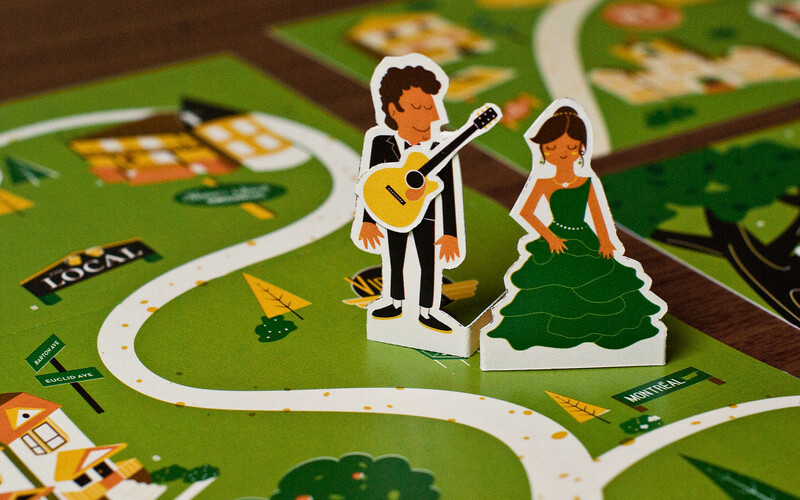 From there, we developed a graphic language inspired by vintage concert posters, tracing a path from where they met, to where they’ll wed. 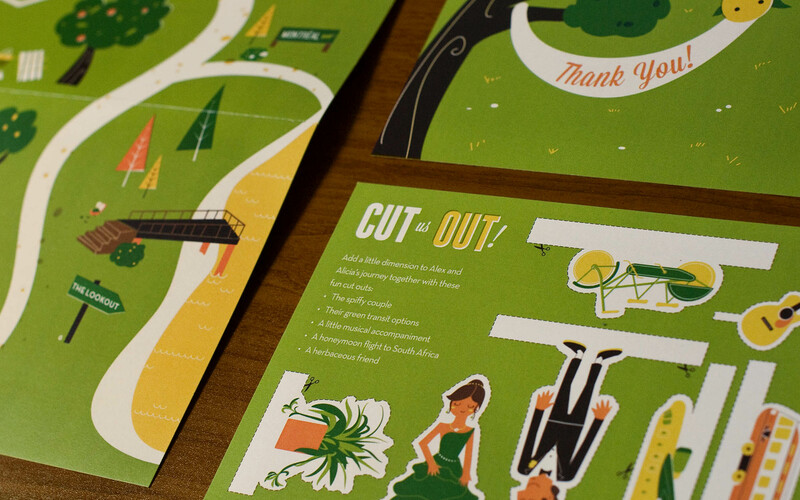 Recipients also get a card of cut outs, featuring the couple and some of their iconic daily props. Just something to bring a little more dimension to the overall experience. 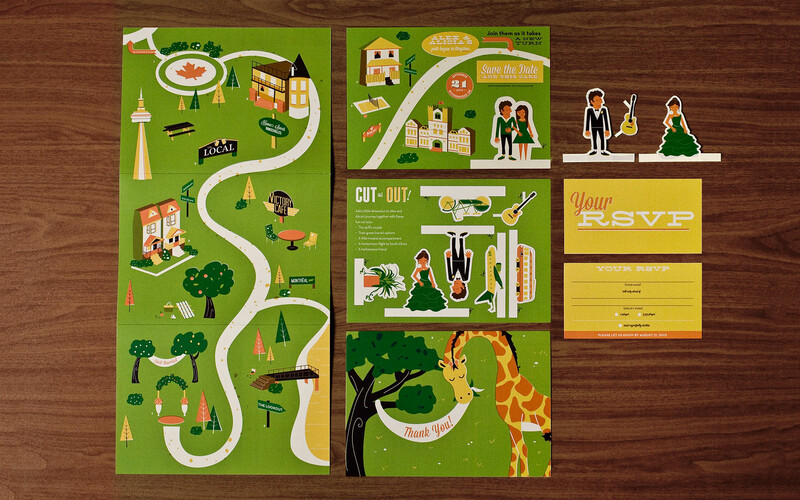 The overall piece is youthful and fun. Just like them. HOW International Design Award Winner.